Brooklyn Bodega, producers of the 7th Annual Brooklyn Hip-Hop Festival (BHF), is excited to announce this year’s headliner – Q-Tip. Brooklyn Bodega is working closely with Q-Tip to create creative programming for this year’s Festival. Not just a headliner, Q-Tip will work with Brooklyn Bodega to curate “Q-Tip & Friends,” a celebration of Hip-Hop through the lense of his 20+ year career. Brooklyn Bodega will be working directly with Q-Tip to mine his personal rolodex and create once-in-a-lifetime live on stage collaborations to bless Brooklyn this Summer. Q-Tip embodies the mission of The Brooklyn Hip-Hop Festival and Brooklyn Bodega: highlighting Hip-Hop’s legacy as an agent of artistic progression, community building and social change. 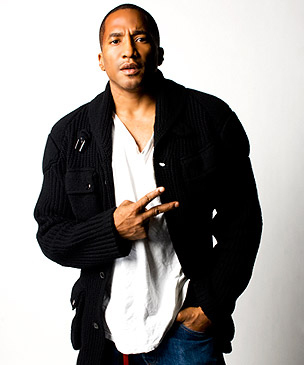 As an artist, MC and producer, Q-Tip is Hip-Hop with a career that connects generations of fans as well as artists. The first time fans heard Q-Tip was “The Promo” and “Black Is Black” on the Jungle Brothers album Straight Out The Jungle in 1989. A year later in 1990 Q-Tip released Peoples Instictive Travels as the lead MC of A Tribe Called Quest. With “Bonita Applebaum” and “Can I Kick It” he ushered in an era of what some have labeled “Bohemian Hip-Hop” – Hip-Hop without a strong tone of misogyny or hyper masculinity, punctuated by social conscious lyrics and self respect. Collaborating with kindred spirits like De La Soul, Q-Tip became the face of conscious afrocentric rap. Q-Tip would go on to collaborate with an array of artists from The Beastie Boys to Janet Jackson to Pharrell Williams and many more. With his solo album Amplified, Q-Tip brought J Dilla to the foreground and recorded the smash singles “Breathe & Stop” and “Vivrant Thing.” All the while, mentoring Hip-Hop greats Talib Kweli, Mos Def and Common (among others) further creating ripples that impacted the growth of Hip-Hop culture. One year after his debut on the scene, Q-Tip released his album The Renaissance a pinnacle of an accomplishment that was nominated for “Best Rap Album” at the 2010 Grammys. This Summer, “Q-Tip & Friends” will go beyond musical performances and celebrate Hip-Hop through the lense of Q-Tip’s extraordinary career; instilling fans with a greater appreciation for the lineage of Hip-Hop music- from Kanye West and Common to the Native Tongues collective. Come July, Brooklyn Bodega is going to focus on re-chalking the context of today’s Hip-Hop culture and pay tribute to Hip-Hop through Q-Tip’s work. With the Festival as a platform, Brooklyn Bodega and its media partners will venture to create unique content to capture this momentous event for years to come. The Festival returns on Monday, July 11th- Saturday, July, 18th. This premier week-long, all-ages event attracts over 20,000 fans to Brooklyn annually in a celebration of Hip-Hop music and culture. This year, fans can look forward to the return of the Show & Prove Super Bowl, Bodega Education Initiative, Salute The DJ, Family Day and the Main Stage performances; plus new programming such as Styles Upon Styles and the Bodega Recognition Awards. 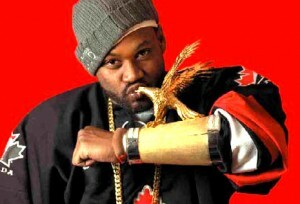 Visit www.BrooklynBodega.com and www.bkhiphopfestival.com for new updates. 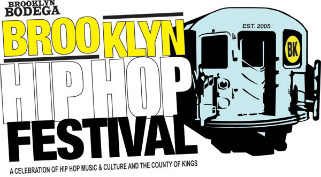 Compete for a chance to open for the 2011 Brooklyn Hip-Hop Festival with Q-Tip! This year, Q-Tip will be the anchor of the six-day-long BHF, performing on Saturday, July 16th alongside a variety of Old School, New School, Funk, Soul, local and International artists in Dumbo, Brooklyn. To open for the Festival, up-and-coming artists must “Show & Prove” their skills by competing in Brooklyn Bodega’s premiere underground hip-hop concert series. There are three semi-finals before the Show & Prove Super Bowl and the only way to submit for consideration to compete is via Sonicbids. As New York City’s largest Hip-Hop cultural event, the Festival showcases the positive aspects of Hip-Hop culture by highlighting Hip-Hop’s legacy as an agent of artistic progression, community building and social change. BHF 2011 events will continue to reflect the full range of Hip-Hop culture, which spans music, film, academics, grassroots empowerment and more. Interested in getting your company involved? Our diverse and dedicated audience makes us the number one media market for sponsors who want to strategically position their brands. Brooklyn Bodega is now accepting sponsorship and vendor submissions. All interested parties should email Kelii Jones at Kelli@brooklynbodega.com or agency@brooklynbodega.com for more information. Brooklyn Bodega is a multimedia content production and branding company. Our brand extends into event production, journalism and critical media analysis, digital and grassroots marketing, radio, video, and content distribution. While The Bodega is best known for producing New York City’s largest Hip-Hop event, The Brooklyn Hip-Hop Festival; our expertise also manifests in Brooklyn Bodega Radio, Bodega TV, our blogazine and online home BrooklynBodega.com, and most recently The Bodega Agency, our boutique marketing and branding operation. The Bodega is made up of an extraordinary group of cultural programmers, marketing professionals, writers, designers and academics who have heeded their own personal call to action and have dedicated themselves to the celebration and preservation of Hip-Hop culture. For year-round updates, visit BrooklynBodega.com and our YouTube Channel- Bodega TV.